Hayman’s Gin are back for a second year with their True Taste Competition. 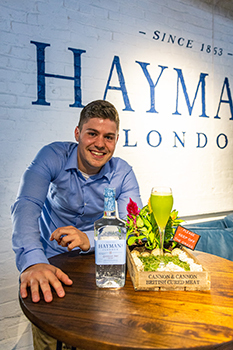 The Hayman’s Gin True Taste Competition invites bartenders to compete for a truly brilliant prize: a 5 day distilling apprenticeship working under master distiller Christopher Hayman and head distiller Sam Pembridge, to make their own special edition Hayman’s Gin. The winner will get hands on experience of every single element of the production process from botanical testing in the lab, loading and charging the stills, all the way through to quality testing and bottling. 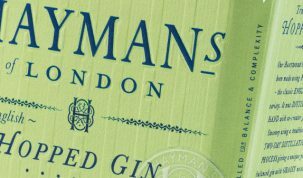 But most excitingly of all, the winner will also develop their own signature Bartender’s Edition Hayman’s Gin which will go on sale, with their name on the label they help to design. Last year’s True Taste Winner Jordan Sweeny (Wigmore Tavern), whose Bartender’s Edition Gin will be released in April of this year, says of the competition: “The knowledge base is the prize. I’ve had the chance to get hands on experience in a working distillery with true professionals. For any serious bartender who wants to know more about distilling and the products they sell. The prize is really unique”. The Hayman family have been distilling gin for five generations, and as time and tastes have changed, they have quietly continued to champion True English Gin to ensure that the classic juniper forward style is preserved for generations to come. They want you to create a cocktail using at least 35ml of Hayman’s London Dry, Old Tom or Sloe Gin inspired by one of “England’s Hidden Heroes” from the past or present. 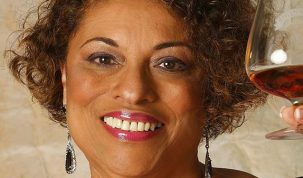 From inventors to politicians, activists to scientists, monarchs to artists, they want to hear about those who have influenced and inspired you, without necessarily seeking the limelight, and then bring their story to life with your cocktail. You may use up to six ingredients, not including garnish. Homemade ingredients are allowed (but the recipe must be outlined) and any style of serve is welcome including sharing serves. You can go in whatever direction takes your fancy, and are encouraged to explore new techniques and flavour combinations, as long as there’s a link to England’s hidden heroes and an amazing story to be told. Please enter your details and recipe in the form below before the entry deadline of April 30th, 2019. 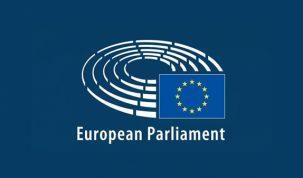 View the competition terms and conditions here.